Most of us struggle a lot with the acne and pimples, same is with me though I do not get lot of pimples however, those occasional pimples that erupt whenever they feel like and that too when they are not at all welcomed. 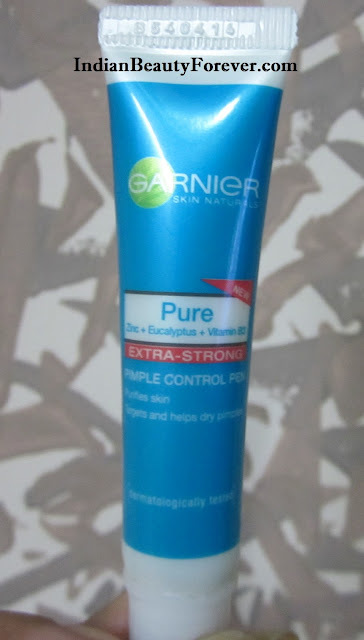 In order to get rid of those soon I keep on trying different stuff, thinking some day I will come across a product that would help them vanish in a day, but I know that’s not possible but still I hope the same while trying a new pimple control product.Well.. lets come to this product its called as Garnier Pure Extra-Strong Pimple Control Pen, I bought this about 2 months ago when there were so many pimples erupting one after the other. Packaging- Sky blue small tube with a white cap and a slanted tip for application. 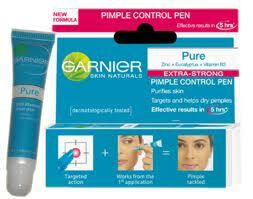 What the company claims- Garnier Pure Pimple Control pen has been specifically designed to help dry pimples so that skin appears clearer quickly. It is useful if your skin is prone to pimples and if you are looking for speedy and effective targeted action. Its invisible gel formula immediately targets the pimple, and its ingredients diffuse rapidly for a complete action. It is enriched with: Vitamin B3 + Salicylic acid and Eucalyptus and Menthol. My experience- There was this time when those painful occasional pimples were troubling me and I wanted to get rid of them as soon as possible. At that time I saw this product while browsing some online shopping site. So, I ordered it immediately. 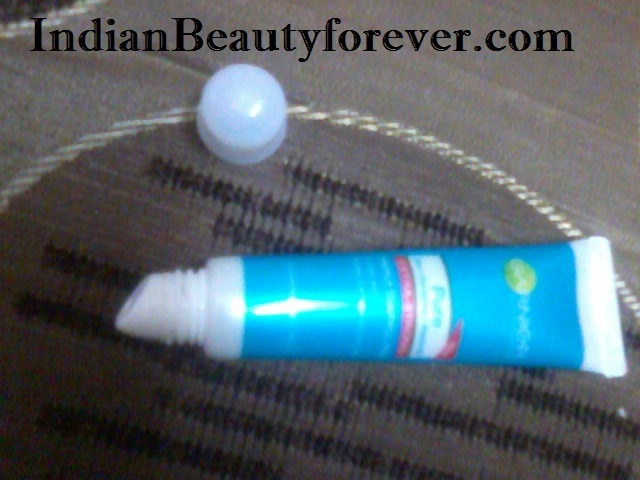 It has a gel like consistency and it works on pimples by drying them for a faster action. It says that it is enriched in salicylic acid and menthol along with Eucalyptus. Salicylic acid is known as a key ingredient in the acne treatment products. I would say that it is not a miraculous product but it does dry out pimples in 3-4 days and then it heals. I used to apply it twice a day morning and at night. UPDATE: I would suggest using Clindamycin Gel for pimples instead. It is inexpensive and easily available. 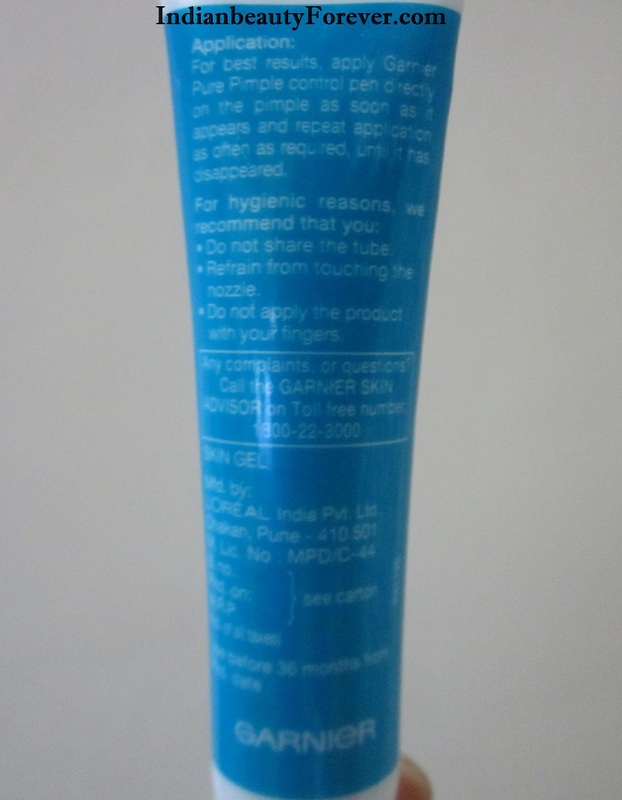 Tube packaging with slant tip is good for application and that too with hygiene. Helps in drying the pimples in 2-3 days when applies twice a day. Can be a bit drying and that is due to the ingredient it has that is targeted to dry the pimples. Its not that effective if the pimples are bigger and more infected.